The Seattle Public Library’s Ballard Branch, 5614 22nd Ave. N.W., will reopen at 10 a.m. Monday, June 20 after being closed for six weeks for refurbishing. The public is invited to enjoy refreshments and celebrate the improvements from 11 a.m. to 1 p.m. Tuesday, June 21 in the meeting room. City Librarian Marcellus Turner will deliver brief remarks at noon. The 11-year-old branch closed May 9 so the worn carpeting in the branch could be replaced. The Library also consolidated staff service desks and added comfortable seating, tables with electrical outlets and self-checkout stations. When the branch reopens, it also will have more than 1,200 new books and DVDs for children, teens and adults. The Ballard Branch is one of the most heavily used branches in the Library system. In 2015, the branch logged more than 404,000 patron visits and checked out more than 714,000 books and other items. The Library promised to protect the public’s investment in its buildings as part of the 2012 voter-approved Library levy. 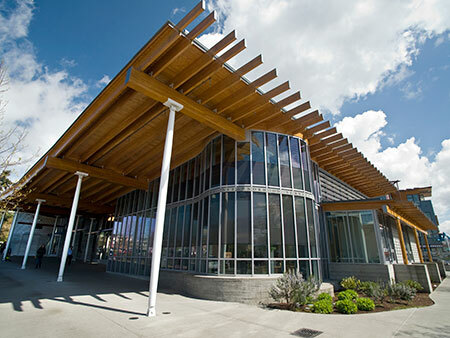 The Ballard Branch improvements are part of the Library’s commitment to ensuring its buildings are well-maintained, clean and comfortable for patrons. Patrons who picked up their holds at another branch during the closure should talk with a staff member if they need help to restore their holds pickup location to the Ballard Branch.